Just as our home, business and method of transportation all leave a carbon footprint, so do we as individual human beings. Managing our time in the most efficient way leaves us with far more energy at the end of the day and we also consume less energy in the process. Think about having several errands each day which require the use of your car. With gasoline prices on the rise for the last several years, most of us have learned to prioritize our errands and group them in the same geographical areas. By doing this, we have saved all types of energy. Human energy savings is about getting more done with less or leveraging our own resources. Time management is a necessary ingredient of energy efficiency. There are many good suggestions to implement during your day but these are a few of the most common tips based on general human behavior. Manage your distractions-The buzzword, “multi-tasking,” shows up on resumes and job descriptions today as an asset but research has shown that we are not getting more done with this operating method. In fact, multitasking is really just a whole set of distractions that we have failed to fully manage. No one can do all tasks at once with equal competence and good results. Focus-This is a far easier word to say than to do, especially when you see that Email tab staring at you from your computer screen. Practice focusing on one task for 15 minutes and then, over time, gradually increase to the point where you can focus for up to 90 minutes at one sitting. Prioritize your “to-do” list. If you have a list with 20 goals for the day, you start out feeling overwhelmed. Accept the fact that these things are not going to get done in one day and cut out those that can be tackled at another time. Otherwise, you are setting yourself up for failure. Start your day working on your hardest project first. You will be fresh and motivated. After completing the hardest first, rotate the rest of your day between easy and more difficult tasks. This gives your brain a rest and it is a form of reward for having accomplished something more challenging. Share your own knowledge and learn from others. Education is not just about attending school. We each have abundant knowledge and experience in lots of different fields. Don’t be stingy with your knowledge and be open to learning from others. Experience may be the mother of invention, but it can sap a lot of father time’s energy. 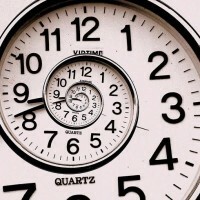 Managing your own time more wisely saves human energy and, in turn, decreases our carbon footprint. You will also find that your contentment meter rises exponentially due to decreased stress and you will have more time for the things you really enjoy.